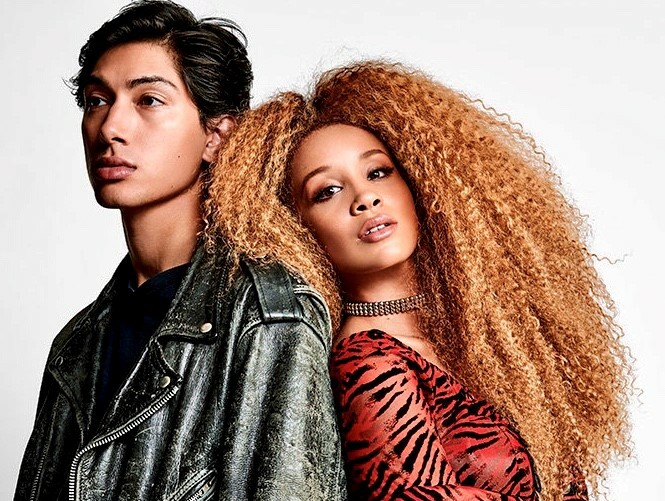 March 19, 2019 — Lion Babe is an alt-R&B duo consisting of vocalist Jillian Hervey and producer/instrumentalist Lucas Goodman. The band’s eponymous debut EP was warmly embraced upon its release in 2014, and they have been sought-after collaborators since then by the likes of Childish Gambino, Pharrell, Disclosure, and others. We’re especially smitten with the band’s latest single “Western World” from the upcoming album Cosmic Wind. It’s a clever and compelling riff on the Pet Shop Boy’s “West End Girls” featuring Jillian’s sultry, soft-edged vocals and all manner of house, funk and hip hop accents, including a delightful guest rap from the iconic Raekwon of Wu-Tang Clan. Enjoy.